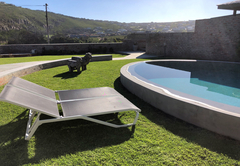 Brakvlei House is one of the Plettenberg Bay guest houses and provides accommodation in 3 guest rooms for tourists visiting the Garden Route region. 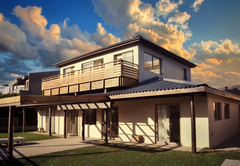 Named Brakvlei as the property overlooks the Brakkloof Wetland Area, the establishment provides accommodation in three separate, beautifully arranged rooms. rooms. The B&B bedrooms on the ground floor have doors opening onto their own private garden area. 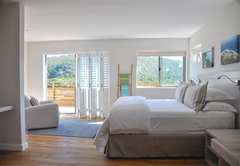 The bedroom on the first floor has a balcony and beautiful views over the Brakkloof Wetland Area. All the bedrooms have spacious bathrooms. This superior room with beautiful views over the Brakkloof Wetland, a balcony, study / writing area and a bathroom with a double shower, free-standing bath and separate toilet. 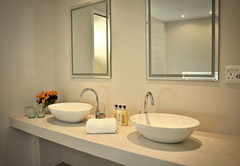 The superior room has an en-suite bathroom with a free-standing bath, separate shower and separate toilet. 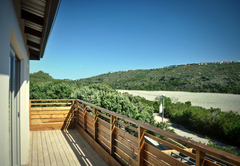 It has a private garden area with views over Brakkloof Wetland Area. 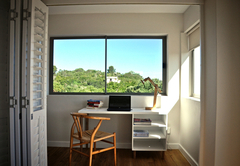 This King-size bedroom opens onto a private garden and has views over the wetland area. 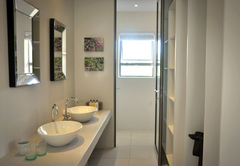 It has an en-suite bathroom with free-standing bath, separate shower and separate toilet. 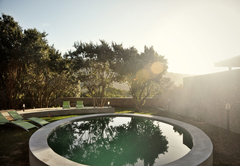 The ‘lifestyle’ area consists of a huge ellipse-shaped pool, a large deck and a barbecue area. This area is also open for use by guests staying at Christiana Lodge. Breakfast is served daily and is included in the rates. Spacious superior room with beautiful views over the Brakkloof wetland; balcony, study/writing area, bathroom with double shower, free-standing bath and separate toilet. This room is on the property next to Christiana Lodge. 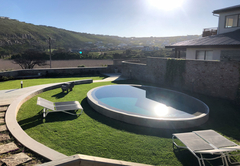 Spacious superior room with en-suite bathroom, free-standing bath, separate shower and separate toilet; own private garden area with views over Brakkloof wetland area. This room is on the property next to Christiana Lodge. 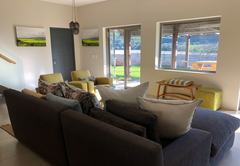 Spacious superior king-size bedroom with doors opening onto private garden area; views over Brakkloof wetland area; en-suite bathroom with free-standing bath, separate shower and separate toilet. This room is on the property next to Christiana Lodge. Response timeBrakvlei House typically responds to requests in 5-10 minutes.